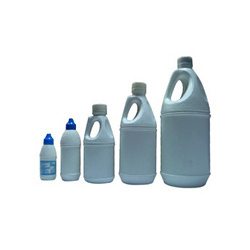 We also have vast assortment of Stainer Bottles, which is widely demanded in the market for storing various kind of chemicals. Available in various capacities, our range is custom designed as per the specific requirement of the clients. Further, we use quality tested plastic, procured from reliable and trusted vendors, thus ensuring optimum durability and functionality. We are the manufacturers, suppliers, wholesalers and exporters of a wide range of Plastic Bottles and Containers.Available in various sizes,our range is widely features like even wall thickness, , unbreakable and odorless.